Mustang GT low profile brushed cotton twill cap, official licensed product by Ford. This cap comes in four colours, Pink Black, Blue and Bone. 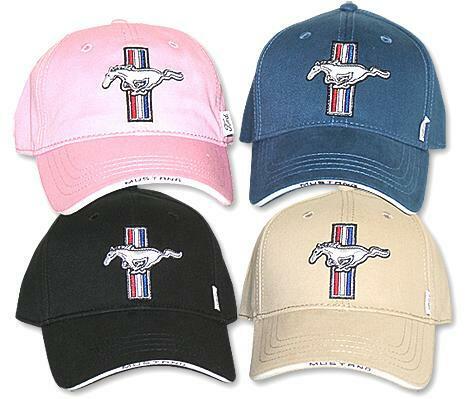 It has the Mustang logo embroidered on the front of the hat and the word mustang in black on the front rim. On the back of the cap it has the GT Ford logo embroidered and the mustang embroidered on the adjustable velcro strap.